These are the kinds of reviews when I feel the need to list my bona fides up front, like about how long I’ve listened to jazz/hip-hop crossover music, or how I camped out at a mall earlier this year to catch Robert Glasper and Terrace Martin play together. 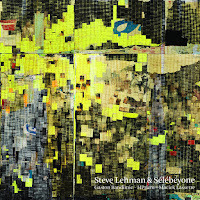 It’s not like much jazz/hip-hop fusion is covered here on the blog, but Steve Lehman’s been reviewed extensively, with varied responses from reviewers and commenters alike. In addition to Lehman on alto sax and electronics, Sélébéyone features Gaston Bandimic on vocals in Wolof, Antipop Consortium’s HPrizm (aka High Priest, from Antipop Consortium) on vocals in English, Maciek Lasserre on soprano sax and electronics, Carlos Homs on keyboards, Drew Gress on bass, and Damion Reid on drums. All tracks are credited to either Lehman or Lasserre, with lyrics by Bandimic and HPrizm. To put the elements of Sélébéyone—its players, styles, and approach—in context, there’s a huge amount of info-dumping that needs to happen, so stick with me here. Sélébéyone’s sound is built on a thick foundation of experience all members have with mixing jazz, electronics, hip-hop, and improvisation. Lasserre’s featured both Bandimic and Lehman in his MCK Projekt, another experimental fusion band. Two tracks, “Origine” and “Hybrid,” originally appeared on MCK Projekt’s Forces, with different lyrics and altered arrangements. HPrizm has been mixing genres throughout his career, most notably crossing jazz, electronics, and hip-hop on albums with Matthew Shipp (2003’s Antipop Consortium vs Matthew Shipp, and 2011’s Knives From Heaven). Earlier this year, on Illtet’s debut Gain, HPrizm teamed up with Mike Ladd, Jeff Parker, and Tyshawn Sorey. Drummer Damion Reid’s a longtime member of Glasper’s piano trio which has covered, among others, J Dilla and Radiohead. Gress is a regular member of Lehman’s octet and quintet, and is probably well known to most regular readers of this blog. And Homs plays in the trio ARK and Peter Evans’s quintet. So, where does that leave Sélébéyone, the album? In a lot of ways, it feels like an assemblage of these criss-crossings, ideas pulled together from corners of everyone’s experiences and previous experiments. The result, overall, is a daring and exciting mix. The opening back-to-back tracks “Laamb” and “Are You In Peace?” are possibly perfect. 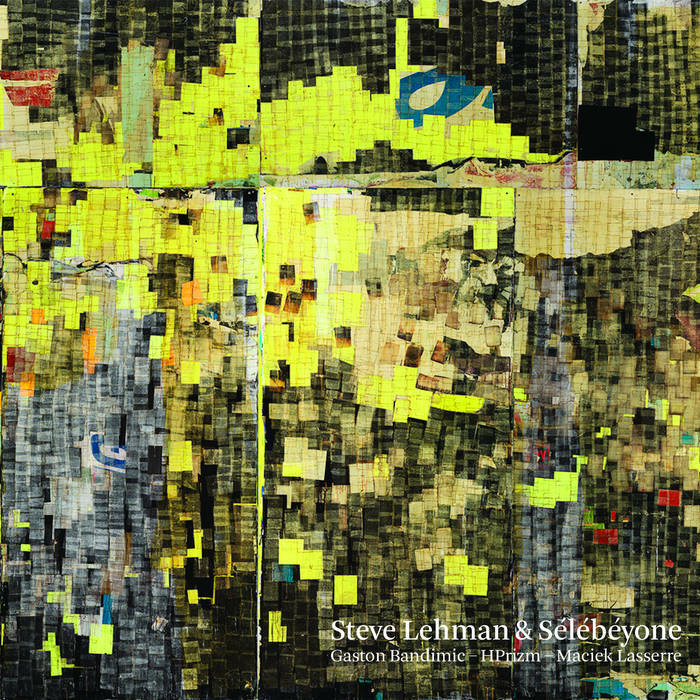 “Cognition” seems to pulls in multiple references to Lehman’s other projects, primarily his octet. The first 2 minutes may be the most overtly jazzy on the album, until the track abruptly shifts gears to an electronic wash under HPrizm and Bandimic’s verses. It’s an interesting stylistic idea, but it felt less effective in execution. These moments of where the range of styles start to pull apart and play alongside, rather than along with, each other were where the album started to lose me. “Dualism” similarly didn’t quite come together for me. “Geminou” features Bandimic dueting with Lehman's drum programming, over another electronic wash. It’s got promise for days but only lasts about 90 seconds. “Bamba” closes the record in full force, with amazing rhymes from Bandimic and some aggressive drumming from Reid. The two are probably Sélébéyone’s standout players; both definitely delivered my favorite moments on the album. I didn’t touch on Bandimic’s lyrics, but I highly recommend checking out the full translations, available at Lehman’s website. I’ll be interested to hear what others think, but I was very torn on this one. On the one hand, Sélébéyone represents a great leap forward for Lehman, a new band and a deep reimagining of his sonic language. On the other hand, I found the album intermittently languid in a way that disrupted the overall flow. It’s a brief album, like most of Lehman’s albums, but here I thought that worked against the band. I’m looking forward to hearing more, because there’s such promise in this lineup, and hope they continue to record together. Sélébéyone is available at Bandcamp. I was also conflicted about this one, Lee. As a huge fan of Lehman, I was hoping this might be the kind of record that finally was able to fulfill the promise of merging jazz and hip-hop, something which IMO has not yet been done entirely successfully. (I still remember seeing Greg Osby's band in the early 90s when he was doing the hip-hop thing, and it was so bad I was embarrassed for him.) This record does have its moments, but it feels like it's still an early effort at something Lehman might be able to develop more fully on future releases. And of course, more into the electronic territory, but still under influence of both jazz and hip-hop, there's Flying Lotus and the like. Steve Lehman should be rewarded for his restless spirit. As for Greg Osby, he always sounds terrific. This is a very fair review and I too am excited by this step progression in Lehman's music and I hope he has the opportunity to develop this project beyond one release. Whether this is a successful jazz/Hip Hop hybrid or not (maybe that isn't the pertinent question or is a question that straight off throws up critical barriers of its own) I think it's one of the most exciting sounding releases of the year. It has a collective power that can move me on more than one level. Thanks, Troy. Agree with you on all your comments, and, like I said, I'd love to hear more from this band. There are a lot of ideas, and two or three albums in, I imagine this band is on fire. Antonio, have you heard Lehman, Iyer, and Sorey's Fieldwork? Definitely in the electronica vein, but great combination of that genre plus improvisation. Iyer's probably doing the best work in that crossover realm. Soyo, yeah Lehman's really great, and I think Pi is also to be commended for supporting his various projects. Based on your recommendation, I've listened to the Lehman/Iyer/Sorey record today. It really is wonderful. Thanks! I also agree re Iyer's aptitude for fusing genres.